Ayurveda is the traditional Indian medical system. It teaches us that food plays and essential part in our health and wellbeing. 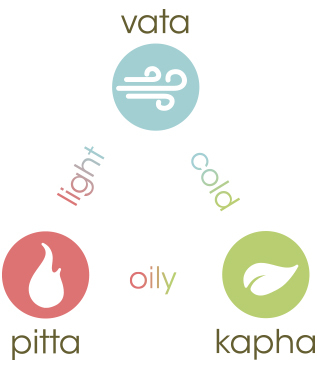 Ayurveda is based on the principle that we are a unique combination of the 3 Doshas: Vata, Pitta and Kapha. Each Dosha holds specific qualities which manifest in our physical and mental state. Habitually consuming incompatible foods leads to poor health and disease. Understanding which foods suit you best is key to disease prevention and good health. As we are all unique, one diet and lifestyle regime doesn’t fit all. 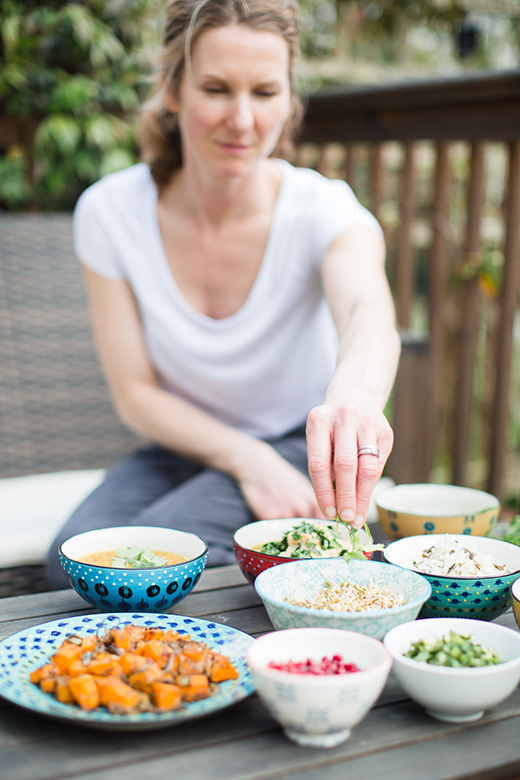 Ayurveda prescribes a nutrition and lifestyle plan to complement your Ayurvedic type. This will restore your natural balance, eliminate disease and promote radiant health and wellbeing. When we are in a state of imbalance you might feel ‘a little under the weather’ or you can’t quite describe how you feel; you just don’t feel yourself. Ayurveda teaches us to be more aware of the subtle changes in our body which can lead to ill health, and to take responsibility for addressing the cause. Ayurveda uses a combination of dietary and lifestyle changes, herbal preparations, massage and Yogic practices to restore your natural balance. These practices will eliminate the cause of a vast range of conditions: digestive problems, fatigue, skin conditions, stress, weight gain and menopausal symptoms. 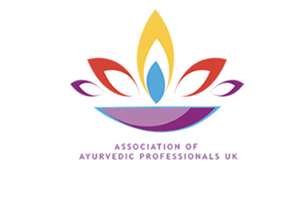 By following an Ayurvedic diet you will understand which foods are most suitable to your type. Helen (weight loss and depression). I feel thrilled with the results so far. After only 3 weeks I am now 1 dress size smaller. My mood feels much lighter and I am enjoying cooking and eating the foods which Clare suggested for me. I can’t believe how much more energy I have. I am now not sleeping in the day and enjoying going to my regular exercise classes. Joanne (IBS and acid reflux). By making manageable changes to my diet and the herbal preparations Clare provided by digestion feels so much better. I no longer suffer from painful acid reflux after meals. I now have a good understanding of what foods will cause pain and bloating, so it’s much easier to control my IBS symptoms. Neil (Eczema) I was a little sceptical at first, but the dietary advice and cream Clare provided has really helped. I still get the occasional flare-up, but can manage it through an better understanding of the triggers…and the amazing cream.